If you are a spirited traveler, becoming a parent should not deter you from exploring new places. However, the thought of traveling with a toddler can seem like a daunting task and many times, parents prefer to subdue their desire for travel, till the babies are older. But flying with a toddler need not have to be so stressful if you know some secret tips to deal with the situation. 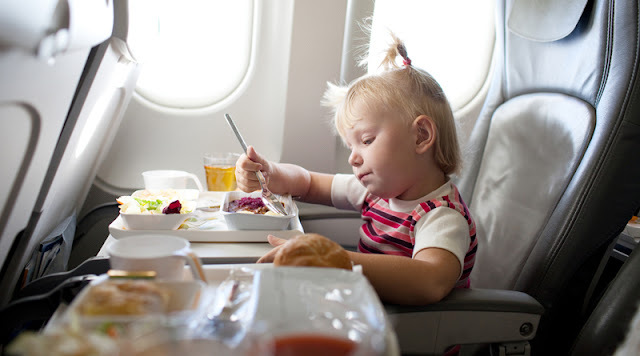 Read on to find 10 practical tips when flying with a toddler. Your child is bound to be excited about the trip. Combine the excitement with a good dose of 'responsibility talk'. Tell your toddler that there are people who watch children on airplanes and depending upon their behavior they are given presents. The list of gifts can include your child's favorite toys which you plan to give them yourself. If your child is old enough to take an interest in colors, shapes, and texture, maybe it is a good idea to carry such games to keep your child engaged during the flight. 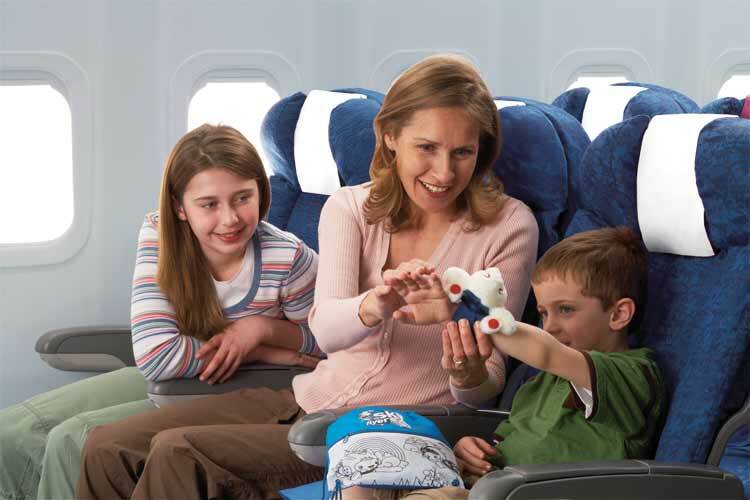 Download fun games for your restless toddler to play during a long flight. Toddlers often seem cranky when they are sleepy and do not have a comfortable place to doze off. Make sure you carry your child's favorite fluffy pillow and blanket (pillows provided by the airline may not seem comfortable or familiar to your little one.) Also, try to book seats with ample legroom, because a cramped place may cause your child to feel claustrophobic. Airlines like AirAsia gives you the choice to book your seats using the seating chart. Children hate the sight of serious food but can become cantankerous if they are hungry. One way to deal with this is to have fun titbits that include your toddler's favorite finger food and snacks. The process of munching 'crispies' can get a little messy, with crumbs and pieces all over their clothing and seat, but that is a small price to pay to calm a restless toddler. Crying is far worse than off-tune singing. So if your toddler already has its favorite rhymes and music, download them on your smartphone or tablet and play it for your child. This can help calm them down, especially when they are feeling bored. Talking is something you have to constantly do as a parent with a toddler on board. Keep a list of adventurous, scary, funny and moral stories handy. These will be useful when waiting in the queue, or when there is nothing else to do. In fact, you can start off with an engaging story and continue weaving in your imagination to keep the toddler from wreaking havoc on the flight. White sheets of paper, color pencils, crayons, and stickers can come to your rescue when you have to wait in transit. Spread out a newspaper and put the things on it and let your little minion paint amazing artworks! It is not your fault if your toddler begins to howl in the middle of a long flight. The offended gaze from a co-passenger can ruin your flight experience. But you cannot blame them as everyone expects a peaceful and comfortable journey while booking their flight tickets. So get in their good books as soon as you settle down. Offer them a munchy or a little something. Talk to them, especially to someone who you think can be extra grumpy! Try to explain the situation beforehand so that they know what to expect, and the shrieks don't come as a surprise during their beauty sleep. Most people who work in the flight crew team are taught to be polite as part of their job role. If you are having a tough time with your toddler, there is absolutely no harm in seeking help. A walk along the aisle or a little time with the pretty air hostesses are bound to calm your little one if he is a bit moody or cranky. If you are traveling with your spouse and toddler, it is a good idea to take turns in handling the child. This helps both the parents to maintain their sanity while the toddler is busy creating a ruckus. But honestly, if you take note of the first 7 points, there isn't much for you to worry. Unless your toddler is sick, keeping them engaged and letting them sleep for the most part of the journey should be your key mission while flying. And a little bogeyman threat can be a saving grace too. So pack up and share the joy of traveling with your little one.